She was born in Norwich Conn., and moved to Greenpoint/Williamsburg at the age of five, where she later attended Eastern District High School, married and raised her family. She moved to the Rossville section of Staten Island 20 years ago. 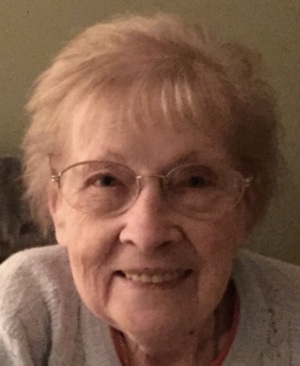 Josephine worked as a comptometer operator at JC Penney for 17 years, as a teller for Citibank, then as an accountant for Dime Savings Bank, U.S Bank for Saving, Goldome, and Buffalo Savings Bank before retiring at age 65. She was a 1952 Charter member and past president of the PFC John P. Czachor Post No. 5806 Ladies Auxiliary. She was awarded a lifetime membership in 2017. As a young woman, she was an avid Frank Sinatra fan, and enjoyed watching him perform at the Paramount Theatre. She loved to dance, play poker, and go to Atlantic City. She later enjoyed reading, crossword puzzles, game shows, and Hershey kisses. She was a good cook and famous for her pot roast. Josephine was a devoted wife and mother, a great listener and friend to many. Her wit, wisdom and advice will be greatly missed. Josephine was predeceased by her husband of 57 years, Alex, who passed away in 2013. She is survived by her daughter, Alison (Michael) Ullrich, and son, Glenn. Funeral is from Bedell-Pizzo Funeral Home on Wednesday at 10:30 a.m. Mass of Christian Burial is at Our Lady Star of the Sea R.C Church at 11:15 a.m. Entombment is in Resurrection Cemetery. Friends may visit Tuesday, from 2 to 4 and 7 to 9 p.m.